Alabama has many nicknames. It's known as the Yellowhammer State, Heart of Dixie and the Cotton State. I'd like to give Alabama a new nickname. How about the gambling contraceptive state? Meaning that if you never want to be able to play poker, bet on your football team or take your significant other on a trip to the casino, this is the state you should live in. Joking aside, Alabama is truly one of the worst states for poker players. Nearly all forms of gambling are illegal and there appears to be no signs of that ever changing in the future. To learn more about what little you can do in Alabama, I encourage you to read further down the page. Is Online Poker Legal in Alabama? There are no laws that specifically call out online poker. My best guess as to why is because the laws were created before the internet existed, and no one has bothered to change them since. However, considering the stance that Alabama takes on gambling as a whole, I would feel confident that they're against it. Online poker is considered to be "social gambling" by some people which would put it on par with running home poker games. In that case it would be legal. However, any time I've heard poker and social in the same sentence, it's referring to playing poker with your friends at home. Online poker doesn’t fit that bill, so I wouldn’t rely on that “loophole” much. Surprisingly, Alabama appears to be ok with home poker games so long as a profit isn't taken. PROFIT FROM GAMBLING ACTIVITY . A person "profits from gambling activity" if he accepts or receives money or other property pursuant to an agreement or understanding with any person whereby he shares or is to share in the proceeds of gambling activity. In other words, the person running the game cannot take rake or charge door fees to play. The only money at stake is the bankrolls between players. (b) It is a defense to a prosecution under this section that a person charged with being a player was engaged in a social game in a private place. The burden of injecting the issue is on the defendant, but this does not shift the burden of proof. Do Casinos in Alabama Offer Poker? There are 3 casinos in Alabama, and truth be told, they're only there because the Indians have a right to own and run casinos. However, Alabama limits what games the Indian casinos can offer. So you'll only find games like bingo, digital slot games and dog races. Table games, including poker, are entirely out of the question. We get a lot of questions about Alabama poker laws. I thought I'd answer some of those questions here. 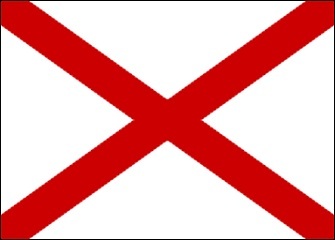 Will online poker be regulated in Alabama? In the past the state has proposed laws to make Alabama online poker illegal, but the laws were never passed. Back in 2009, Alabama State Senator Hank Erwin moved to ban games of chance. However, poker is always a grey area because some court cases in the states have demonstrated that poker is actually a game of skill. The bottom line -- Alabama has put more effort into trying to eliminate online poker from the state than legalize it. I think it's safe to say that Alabama won't be legalizing online poker anytime soon, if at all. I certainly wouldn’t hold my breath. Is there an online poker room that accepts players from Alabama? Despite the laws in Alabama you can still play online poker (at your own risk). Sites like Bovada Poker and Sportsbetting Poker accept players from the US, and BetOnline accepts players from all 50 states. What other forms of regulated gambling is offered in Alabama? Horse races, bingo machines and similar devices are permitted in Alabama, but only on Indian reservations. Alabama does not have a state lottery. Many "e-bingo" sites exist, where these electronic bingo machines mimic slot machines. These machines can be found in a variety of places across the state outside of the Indian casinos. The legality of these machines are on a county to county basis. Where can I read more about Alabama poker laws? The last bullet point is a PDF. You'll need to have Adobe Reader or Acrobat to open and read it. Here are some interesting facts about gambling and poker in Alabama. Most forms of legalized gambling is prohibited except on Indian Reservations. Electronic bingo halls exist on a county-by-county basis. While these are illegal in Jefferson County, Bamaco Bingo opened in September 2009 with 800 machines installed and plans to install up to 5000 machines. In 2010, Victoryland, one of Alabama's more notorious Bingo Halls, was shut down by Alabama Govt. alleging illegal gambling activity. They re-opened in December of 2012 and were forcibly shut down again in February of 2013 with the same allegations. Playing cards and games of chance is illegal on Sundays. This isn't surprising considering that Alabama is apart of the "bible belt." Any person who engages in gaming or card playing on Sunday shall be fined not less than $10.00 nor more than $100.00, and may also be imprisoned in the county jail, or sentenced to hard labor for the county, for not more than three months. Famous pro Hoyt Corkins is from Alabama. He has won 2 WSOP Bracelts and over $5 million in tournament winnings. He has been playing poker professionally since the age of 19. He placed 4th in Event #29 at WSOP 2012 seniors event. He won the 1992 WSOP PLO Tournament and a short handed tournament in 2007.